Listen as Dale Taylor sits in on the teleconference with Kevin Cronin of REO Speedwagon along with Robert Lamm and Lee Loughnane of Chicago to discuss music today and the Summer Tour. 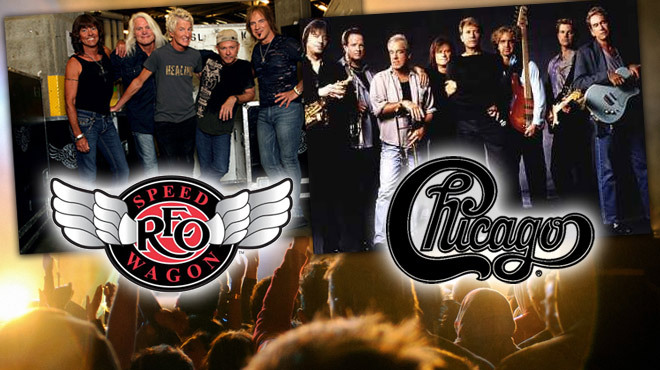 Legendary rock bands, REO Speedwagon and Chicago, will soon kick off a co-headlining summer tour. The 24-date tour, presented by Live Nation, will take the bands through major metropolitan areas across the United States including New York City, Boston, Dallas, Phoenix, Detroit and more. Tickets are on sale now through the Live Nation mobile app and at www.livenation.com. Would love to see both groups again…together would be ultimate . Kevin, i’m coming to see you guys next friday at Penns Peak, Jim Thorpe, Pa. You guys have always been my favorite! Can you please hook me up back stage! Please!